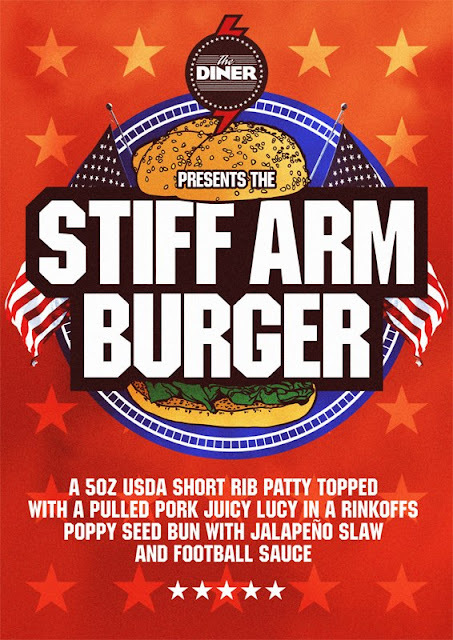 Every year, The Diner in Soho gets into the spirit of things with an evening dedicated to the SuperBowl, including designing a special burger (last year's was the Grab Burger). This year is no exception, and YOU could win 2 x tickets to their SuperBowl Event on Sunday 3 February 2013, courtesy of The Diner and Burger Me! 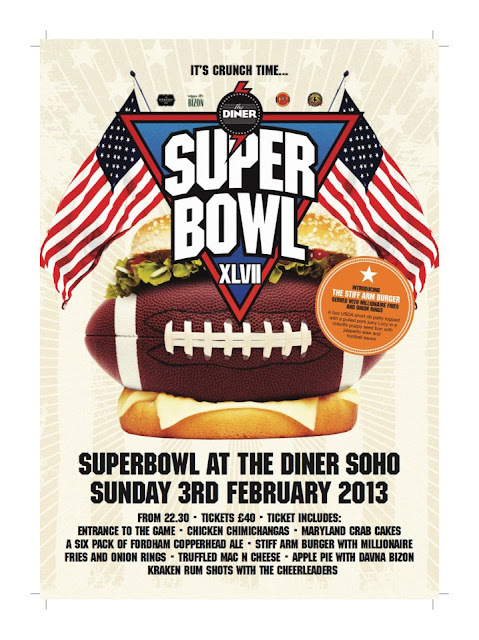 Yes, you heard me correctly, you can win 2 x £40 TICKETS for you and a friend to spend an evening watching the Superbowl at The Diner, Soho. To enter the competition, all you need to do is Submit A Burger. Send your best burger pics and I'll choose a winner, at random, from amongst them! 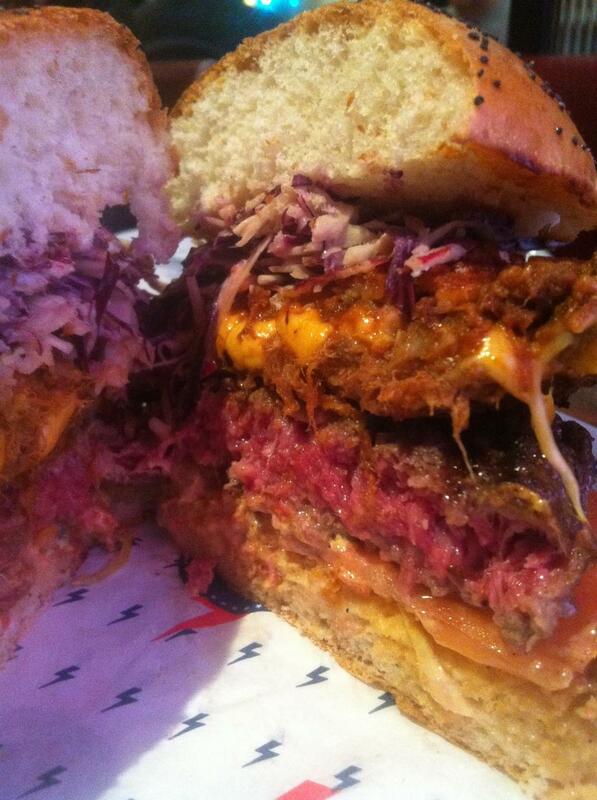 If you don't have a burger to submit, or want to buy tickets, you can call 020 7287 8962, or Tweet @TheDinerTweets. Great question - I will be drawing a winner on Thursday 24 Feb! What Burger Would a Poker Player Eat?